THE LOCATION This legendary hideaway is in a box seat at the top of ultra-exclusive Wategos Beach. Just underneath Byron's famous lighthouse, it's the ultimate discreet retreat. You'll be among the first in the country to see the sunrise in style at the nation's most easterly point. THE PLACE Rae's may be Australia's answer to LA's Chateau Marmont – if these walls could talk. The former private residence was recently given a makeover by interior designer-of-the-moment Tamsin Johnson, who updated the building's classic features with fresh fabrics, hip art and on-trend furnishings. THE EXPERIENCE Sure, there are hotels with more mod cons, but the rustic, bohemian vibe at Rae's is wildly romantic. 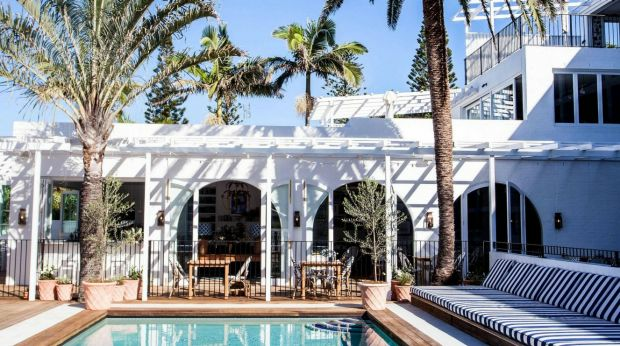 Surrounded by sloping lawns just steps from the beach, the whitewashed facade and terrazzo marble floors evoke a Moroccan palace or Grecian villa. Five rooms and two oversized suites all access a sparkling pool surrounded by high walls shielding it from prying eyes. The flagship penthouse, with three private balconies, an open fireplace, sunken spa and elaborate, king-sized, four-poster bed, is fit for royals and rock stars alike. A young service team led by Francesca Webster (ex-Halcyon House) discreetly provides what you want, when you want it, and the breezy open-air restaurant offers chic, seafood-centric dishes with an ocean soundtrack. DON'T MISS The OTT "Sea Rae's" and "Air Rae's" packages, which include use of the property's yacht and private jet. From $620 a night. Minimum two-night stay at weekends. 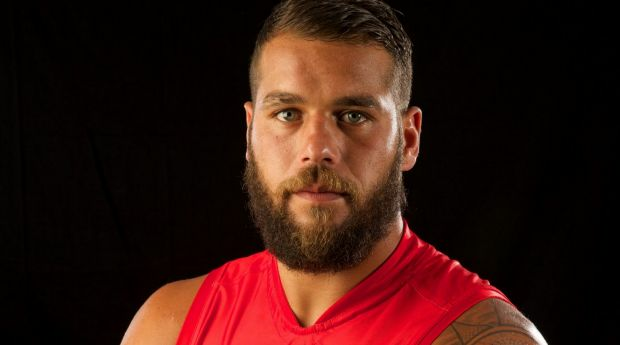 My favourite getaway: Swans player Lance "Buddy" Franklin reveals his NSW destination of choice for a rapid recharge. THE LOCATION Port Stephens, around 2½ hours' drive north of Sydney (and with an estuary bigger than Sydney Harbour), offers old-school holidays that hark back to simpler times. Here, the sand is an eye-popping shade of white and the water the colour of sparkling emeralds. Known as "Port" to the locals, and to generations of families who return annually, its beaches rival Hawaii. 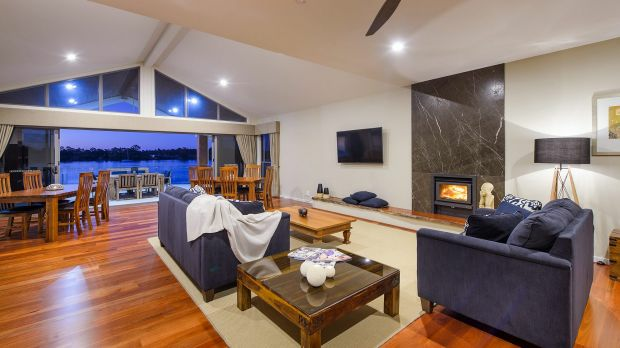 THE PLACE Whataview sits on one of Port Stephens' many pristine stretches of coastline, with show-stopping ocean views. The chic three-bedroom (two with ocean views), three-bathroom beach house offers uninterrupted Pacific Ocean vistas to the explosive surf breaks that pummel the headland. Interiors are the epitome of coastal chic. Eclectic and Asian-inspired, Whataview offers a 100-square-metre private deck, an (unheated) infinity pool, enormous kitchen and all the mod cons including Foxtel and Wi-Fi. THE EXPERIENCE This is a place you'll not want to venture far from, so come prepared with supplies. In season, roughly May to September, you'll spend an inordinate amount of time on the expansive deck watching the "whale highway" (we saw at least 40), and at night, go to sleep to the sound of crashing waves. Days revolve around swims at the beach (if you can drag yourself away from the pool), lazing on the deck and soaking up those phenomenal views with glass of wine in hand. DON'T MISS Tomaree Headland Walk, followed by a lazy lunch at the Little Beach Boathouse. From $1500 for a three-night minimum stay, with a fourth night free. 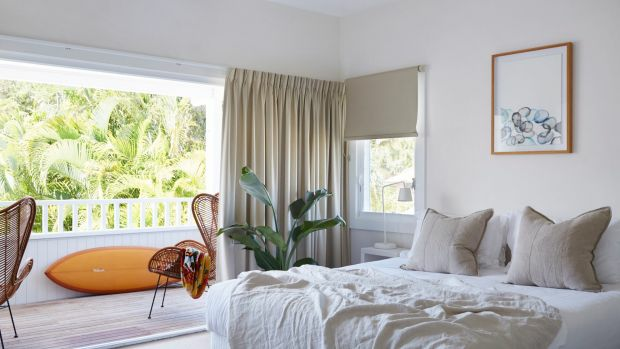 THE LOCATION This retro-glam surf motel has put sleepy Cabarita Beach on the map since it opened in 2015. 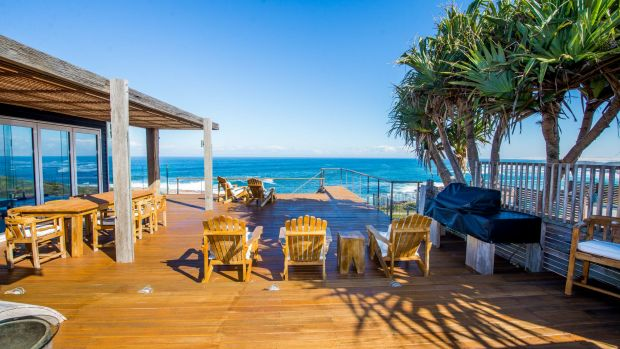 Set well back from a pristine Tweed Coast surf break some 20 minutes' drive south of Coolangatta Airport, it's an excellent place to see and be seen. THE PLACE Despite appearing on myriad Instagram feeds, the dazzlingly white '60s gem is still a surprise and a delight to drive up to: it's just as gorgeous as the photos. The original motel is a distant memory, transformed by a mod-Med blue-and-white fit-out from designer Anna Spiro, using vintage treasures with a modern edge. THE EXPERIENCE The smallish rooms are set across three levels. Each has a private balcony or courtyard overlooking a pool that's surrounded by daybeds where ad execs and architects leaf through glossy magazines. Downstairs, an expansive bar keeps cocktails flowing and Ben Devlin's restaurant, Paper Daisy, is a dining destination in its own right, with a four-course menu of vibrant, intricate dishes encapsulating the Australian coast. Genetically-blessed staff are some of the best around, offering the right mix of engaging but discreet service. DON'T MISS Taking one of the property's bikes, complete with basket and bell, for a 40-minute ride up to Kingscliff, a charming holiday town on the Queensland border. Don't feel like exercising? A pimped-out new spa pavilion is opening on site mid-November with six treatment rooms and a boutique. $480 a night for a Classic room. Two-night minimum at weekends. 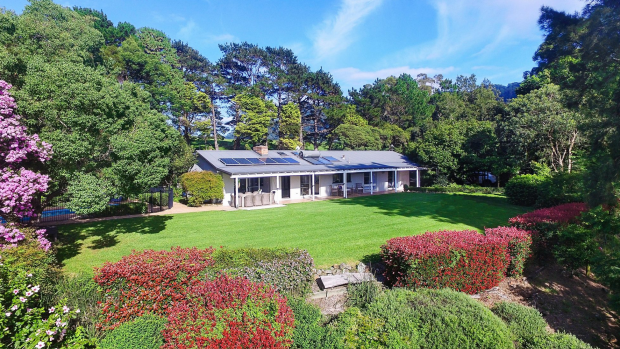 THE LOCATION About 10 minutes' drive south of Berry, this spacious single-storey house is set in more than four hectares of farmland and splendid mature gardens approached by a long avenue of liquid amber trees. On the escarpment between Cambewarra Range and beaches north of Shoalhaven Heads, the site offers sweeping views from the living rooms. THE PLACE There are five bedrooms, 3½ bathrooms, a swimming pool and lots of areas to relax, chat and drink cocktails. Myriad dining spots include the verandah and a fire pit which is encircled by Adirondack chairs. Back indoors, the fireplace's brick chimney features in the large, open-plan living, dining and kitchen areas beneath a cathedral ceiling. THE EXPERIENCE Two of the five queen-sized bedrooms, and a bathroom, are in a courtyard studio a few metres from the main house, but everywhere is light and bright, and the furnishings and fittings throughout are good quality and contemporary. Heading out, is there a town in Australia with more scented candles than Berry? Seriously though, it's a lovely place to wander, peoplewatch and browse shops full of homewares. It's also easy to get a good coffee. DON'T MISS Cooking with the six-burner Falcon Elan stove and oven. The kitchen and butler's pantry are really well-equipped and include holiday "essentials" such as an espresso coffee machine and wine fridge. From $597 a night. Minimum two-night stay. THE LOCATION Australia's oldest wine region, the Hunter Valley, is an easy two hours' drive north of Sydney. Known for its semillon and shiraz, it's home to a mix of large commercial wineries and boutique operators, many with cellar doors. There are rolling hills bordered by the Brokenback Range, dusty roads, gum trees and kangaroos hopping between the vines. 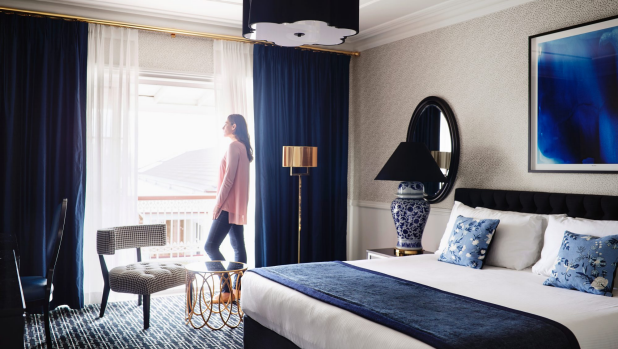 THE PLACE The 70-room colonial-style hotel has undergone a multimillion-dollar makeover, with a crisp blue, black and white palette by interior designer Greg Natale. The property offers a true sense of arrival, from its monochrome grand entry hall through to its elegant bistro with high-backed banquettes, blue wallpaper, leather dining chairs, dark timber floor and chic white timber shutters. Sleep easy in stylish rooms with crisp white sheets, and awake to birdsong. THE EXPERIENCE While perfect for girls' weekends, wedding groups or romantic sojourns, perhaps unpredictably the boutique property is fun for kids, too. There's a tennis court, indoor pool, oversized swing, pigpen and hen house. Head to Epoche lounge bar for cocktails and pizza from the al fresco wood-fired oven, or go upmarket at Locavore Dining with its superb farm-to-table menu. 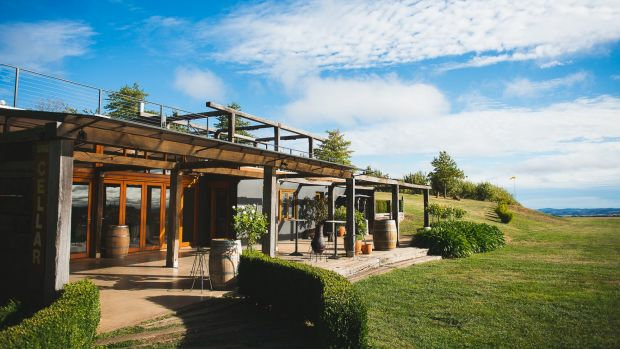 DON'T MISS Lunch outdoors at the one-hatted Margan Wines and Restaurant, and a tasting at the Hunter's first equestrian-inspired cellar door, Dark Horse Vineyard, featuring small-batch wines that are hand-picked, single vineyard, and exclusively from the region. From $320 a night. Minimum two-night stay across Saturdays and long weekends. THE LOCATION An irregular volcanic remnant in the Tasman Sea between Australia and New Zealand, Lord Howe Island is a two-hour flight from Sydney or Brisbane. It's been described by National Geographic as "the most beautiful island in the Pacific", while David Attenborough gushed it was "so extraordinary it is almost unbelievable". The majestic peaks of Mount Gower and Mount Lidgbird soar out of its stunning lagoon, protected by the world's southern-most coral reef. THE PLACE Named after a maritime flag, Blue Peter Beach House is a Lord Howe Island landmark that was home to the island's first espresso machine in its days as a popular cafe. 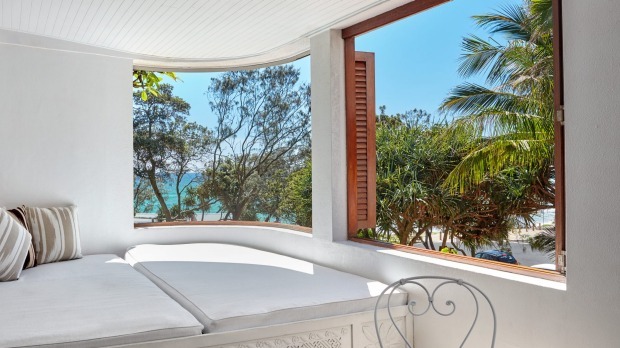 Now a luxurious two-bedroom, two-bathroom beach house, and part of the renowned Arajilla Retreat, it's also the closest accommodation to the beach on the prime western side of the World Heritage-listed island. 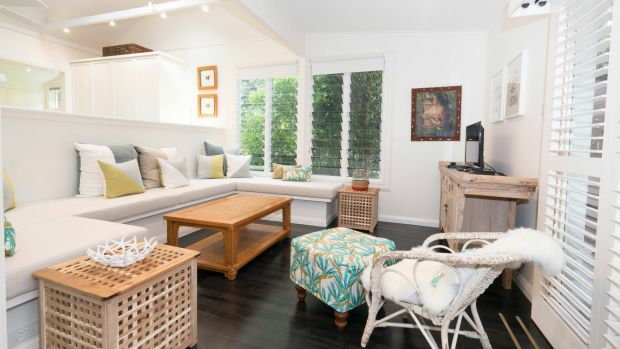 Spacious and seriously stylish, it offers beachy interiors with dark wooden floors, plantation shutters, and a fully equipped kitchen stocked with Arajilla muesli, homemade biscuits and more. Its enormous timber deck is the perfect spot for a morning cuppa or sundowners. THE EXPERIENCE Blue Peter is all about slowing you down and helping you ease into island time. Take a spin on the complimentary bikes, go wildlife spotting, take swims in the lagoon, sip gin and tonics on the deck, and finish that book you've been meaning to get to. DON'T MISS: Sunset drinks at Pinetrees' beachfront boatshed (an honesty bar), climbing Kim's Lookout, and watching huge turtles feed on sea grass at Old Settlement Beach. From $700 a night, including dinner at Arajilla on the first night (during summer). Minimum two-night stay. THE LOCATION Cooks Hill delights with its tree-lined streets and historic terrace houses. The cottage is a short stroll from the hip Darby Street strip, with its plethora of restaurants and boutiques. Around the corner are Civic Park, where the Olive Tree Market is held each month, and the Newcastle Art Gallery. 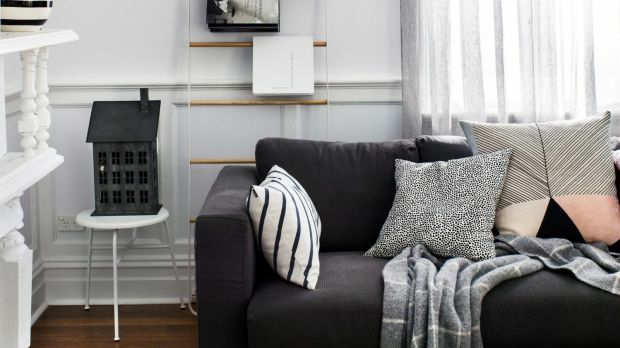 THE PLACE Owner Libby Helinski has transformed this humble cottage, one of four identical "gun barrel" homes in a row, into stylish self-contained accommodation with Scandinavian furnishings from her homewares store, Pappa Sven. There are two bedrooms, both simple, tasteful and peaceful. THE EXPERIENCE A breakfast pack with muesli, yoghurt, Baked Uprising jam, tea and plunger coffee is included but with so many options on your doorstep you'd be silly to eat in. Subo, a one-hatted restaurant headed by Beau Vincent, is 500 metres away but book well in advance. DON'T MISS The Newcastle Memorial Walk for great cliff-top views and Anzac memorial. Take a dip in the historic Merewether or Newcastle ocean baths, or a walk out on the break wall to Nobbys Lighthouse. From $275 a night. Minimum two-night stay, plus $70 cleaning fee. THE LOCATION Santai Retreat is a short stroll from Casuarina Beach. Bounded by the Pacific Ocean and with Mount Warning as a backdrop, the uncrowded Tweed Coast is one of Australia's most underrated destinations. 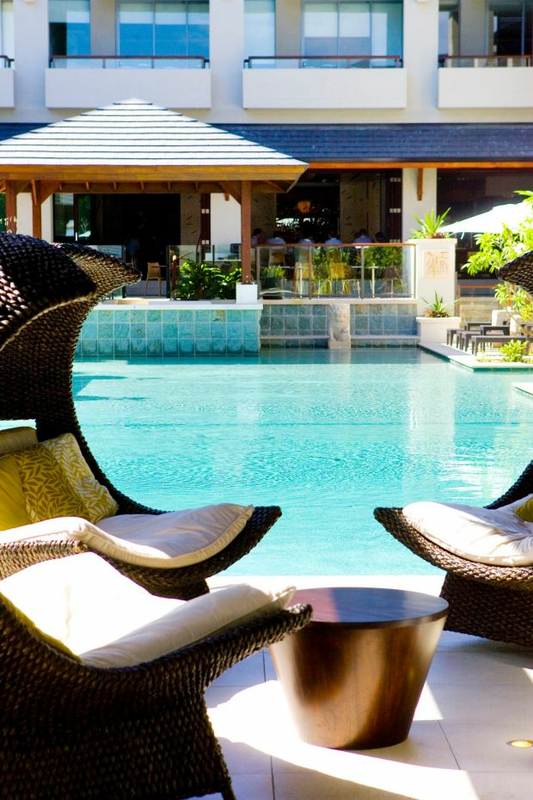 THE PLACE This luxurious Balinese-inspired property, with 100 self-contained apartments, boasts water features, lounge recliners, a day spa and an award-winning Thai restaurant, Spice Den. There are secluded nooks and a lagoon-style pool. THE EXPERIENCE With its gorgeous pool, spacious rooms, great food and an intimate spa, it's a slice of Bali on one of Australia's most pristine beaches. DON'T MISS A barefoot stroll along the beach. Get coffee from Ross from the Artful Barista, who operates a coffee caravan just around the corner from Santai. THE LOCATION Byron Bay is one of the world's most iconic surf towns. While nearby are 15 of NSW's prettiest beaches, the town's offering of eclectic cafes, restaurants, bars, music festivals and galleries attract just as much global attention. THE PLACE Choose between individually styled guest rooms in four original, open-plan beach cottages on the one property. It's a two-minute stroll to the main drag, Jonson Street, and the main beach is five minutes' walk away. THE EXPERIENCE Couples seeking enlightenment might find it here on yoga mats overlooking the reserve, while surfers have the ultimate surf shack, complete with an outdoor shower under a palm tree. The Atlantic appeals as much to privacy-seeking couples as it does to guests eager to sample the vibe of Byron's famous street. DON'T MISS A visit to the nearby Railway Friendly Bar. Built within an old train station, it's a great place to see the best local musicians perform, free. THE LOCATION Ana Mandara is about four kilometres from the centre of Port Macquarie, an increasingly interesting destination on the NSW mid-North Coast, thanks to a growing population seeking the sweet, coastal life this city offers. The B&B sits on a quiet bend in the Hastings River, not far from the Settlement Point car ferry. THE PLACE This modern purpose-built hostelry comprises four large guest rooms, all with ensuites, with one designed for a wheelchair (there's an appropriate lift from the undercover parking, as well). A guest lounge with fireplace opens out to a fabulous deck with spa that faces west towards the river, wonderful for a sunset drink. The grounds are a work in progress, but the hospitality and comfort more than make up for it, as do the river views. THE EXPERIENCE Did somebody say "drink"? The welcoming proprietors look forward to pouring you a large sundowner and leaving you to enjoy yourself. They'll even pick you up at the airport if you like. And the three-course breakfast is sublime. Port Macquarie's burgeoning cafe, bar and restaurant scene will beckon at other meal times, while the numerous beach, bush, boating and winery options will occupy you in between. DON'T MISS A seafood meal at the incredible Stunned Mullet. If it's dinner, start with a sunset tipple at the Latin Loafer bar. From $255 a night, twin share. 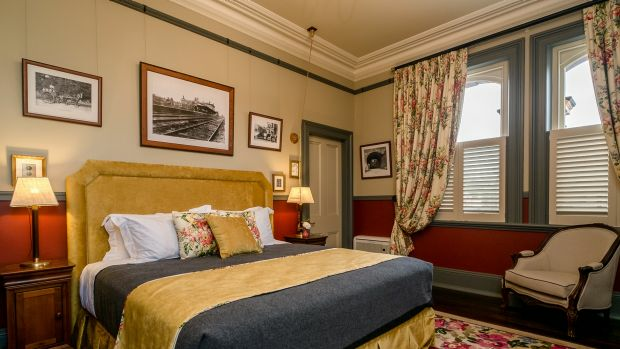 THE LOCATION This super-stylish and supremely comfortable escape is halfway between Sydney and Canberra in the restaurant/antique/book-filled Southern Highlands. 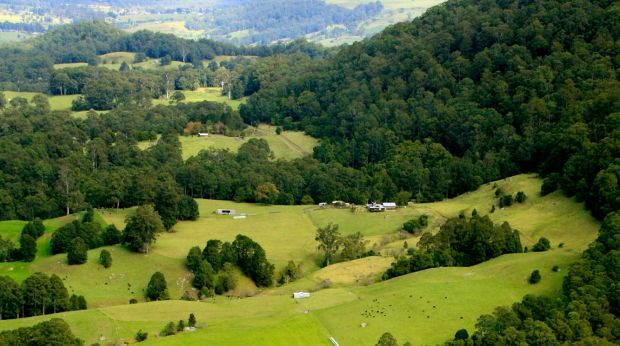 It's an easy 80-minute drive from Sydney. Take the train and the owners will pick you up from the station. THE PLACE Local farmer Warwick Wainberg became so bewitched by this VictorianRomanesque-styled former CBC bank that he was compelled to save it. With help from his wife Barbara, he spent more than seven years doing a painstaking restoration. The results are spectacular. Hand-carved wood panelling, rich fabrics and wallpaper and individually designed rugs set off the high ceilings and polished floorboards to stunning effect. THE EXPERIENCE A dramatic lounge and library dominate the front of the building, where guests can relax and read, or enjoy a complimentary afternoon tea on Chesterfields in front of open fires. A rose-scented terrace adjoins a cosy dining room complete with probably the safest wine cellar in the country, ensconced as it is in the old bank vault. There are five individually themed rooms, all with rich furnishings and attention to detail. Comfort is key, with Egyptian cotton sheets and marble and granite ensuites with heated flooring and towel racks. DON'T MISS Barbara once worked as a cook for a tycoon, so eat in. You might feast on paté, follow it with rack of lamb and finish with a chocolate and ice-cream confection. Her breakfast is another highlight. From $295 a night, with breakfast. THE LOCATION The NSW border town of Corowa, on the banks of the Murray River, is about 3½ hours' drive from Melbourne. Surrounded by sandy river beaches, within cooee of Rutherglen wineries and a short hop to praiseworthy golf courses, it attracts food and wine lovers and history hounds. 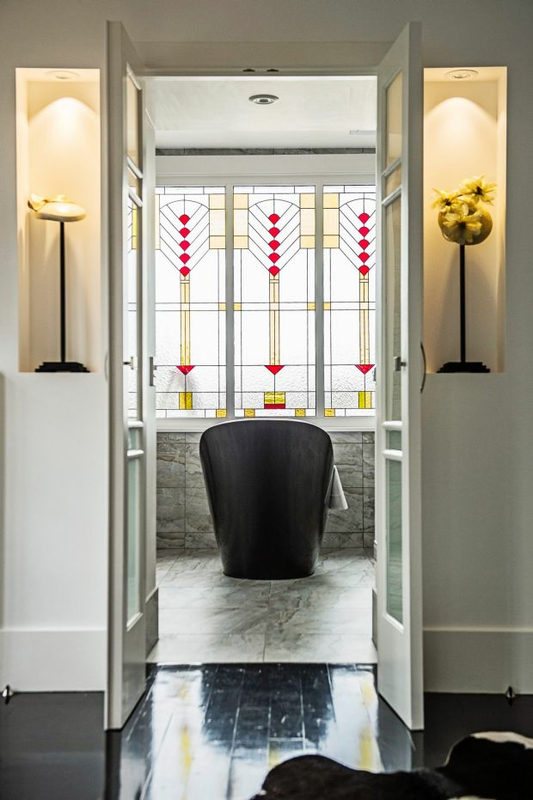 THE PLACE Kevin and Ririn Yaxley moved from Papua New Guinea to transform a dilapidated 1936 Rural Bank of NSW building into a three-suite boutique hotel with marble bathrooms and super king-size beds. Now, their Circa 1936 offers sophisticated accommodation, gourmet dining and super spa treatments. If you can, nab the spacious Western suite – it has a balcony. THE EXPERIENCE Listen to a tune played on the white 1937 grand piano in the Club Lounge and settle in with a nightcap. DON'T MISS The hotel offers a "one-on-one with a local" program, which includes such experiences as an exclusive four-hour tour with wine expert Alan Pyne; kayaking on the Murray with Tim Roadley; scarf-making with fibre artist Margaret Wilmot; and hat-making with milliner Dyonne Rhodes. Skip across the road to Corowa Whisky and Chocolate for spirit tasting and a sugar hit. $700 a night for two, with inclusions. Cider Suites, Borrodell Vineyard, Canobolas, NSW. THE LOCATION Set in undulating hills about 3½ hours' drive west of Sydney, Orange is both a cool-climate wine region and one cool country town. There's fabulous produce, terrific cafes, gorgeous parks, and cycling along rural roads. THE PLACE The two suites feature a contemporary design with high ceilings, cosy fireplace, king-sized bedroom, heated concrete floors, airconditioning, double glazed floor-to-ceiling windows and a spa bath. Continental breakfast is provided. THE EXPERIENCE Wander to Sister's Rock Restaurant and explore the acres of vines and gardens. Grab a bottle of wine and settle in to Cider Suite's window seat, made from century-old wine barrels. DON'T MISS Orange F.O.O.D Week (April 6-15 next year), or a visit to De Salis Wines' cellar door for superb wines. From $240 a night. Minimum two-night stay. 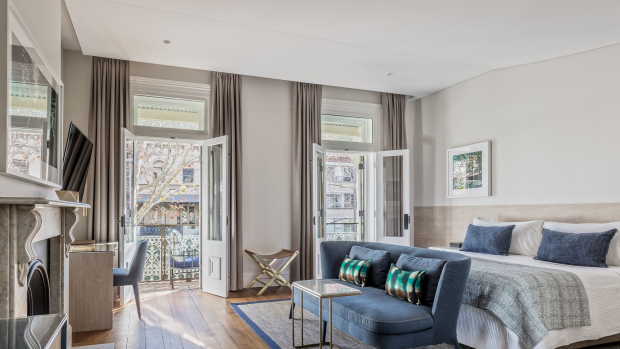 THE LOCATION This row of 1870s terrace houses stands alongside the seedy backpacker hostels of Victoria Street, but the boutique retreat within offers a far more refined package. THE PLACE The first Sydney outpost from Queensland's Spicers chain has undergone a $20-million conversion. Twenty fresh, airy rooms are set across three heritage properties, connected by steep stairways with bright skylights. In three grand suites, double doors open onto balconies fringed with wrought-iron, overlooking one of the city's most vibrant suburbs. THE EXPERIENCE This is the kind of place you might check into but never check out of. The location is within stumbling distance to great bars and restaurants but inside all is calm: rooms have glorious bedding, recycled wooden floors and heavenly stone bathrooms. Downstairs, a compact bar and restaurant is all dappled sunlight and vines. DON'T MISS In classic B&B style, a full breakfast is part of the deal. In the evening, guests mingle for complimentary canapés and sparkling wine. THE LOCATION On the western edge of Sydney's CBD, Ultimo is an educational hub, home to top unis and schools. A convergence point for students and young professionals, it's also one of Sydney's most transformed precincts. The area has undergone a major facelift in recent years thanks to the $55-million Broadway shopping centre redevelopment bringing in retailers such as H&M and Sephora, and the Central Park shopping and apartment complex on the site of an old brewery. THE PLACE Once a textile warehouse, this serviced apartment hotel with 64 rooms opened in July this year. The hotel offers self-contained studios and one- and two-bedroom, split-level, loft-style apartments. Most feature a kitchen and laundry, and all have Wi-Fi, a smartphone and smart TVs. 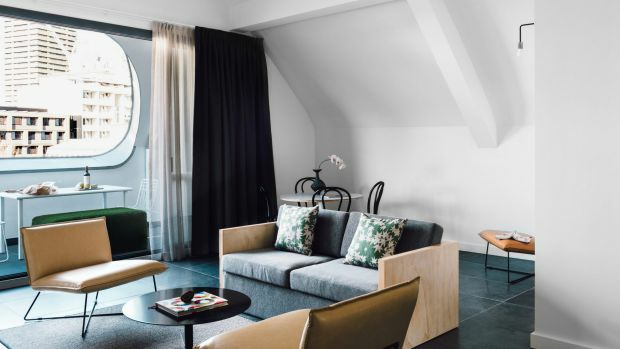 Rooms are between 32 and 60 square metres, with those on the lower floors featuring exposed beam high ceilings and polished concrete floors – a nod to the area's industrial history. THE EXPERIENCE It's all about "living like a local". There's no restaurant, just a small cafe offering coffee and pastries. This encourages guests to investigate the abundance of restaurants, cafes, bars, attractions and shopping nearby, as well as in neighbouring Glebe and Camperdown. If you're not a fan of the traditional hotel experience but Airbnb isn't your thing either, then this could be the place for you. DON'T MISS Take a complimentary hotel bike and ride around Blackwattle Bay to Tramsheds Harold Park, a European-inspired market hall, to grab a bite. Leaving the familiar for a fresh comfort zone: Katrina Strickland makes a perfect road trip in the Southern Highlands. THE LOCATION When it comes to unlikely success stories, Canberra's reinvention as a cool urban escape has to top the list. THE PLACE Anyone can open a hotel in a hip 'hood; it's a brave hotelier who sets out to create not only a happening venture, but also transform the neighbourhood that surrounds it. Molongolo Group pulled it off when they launched the New Acton precinct featuring cafes, bars and restaurants, a gallery, a cinema and Hotel Hotel. THE EXPERIENCE Hotel Hotel celebrates wabi-sabi, the imperfection of the handmade and the natural. 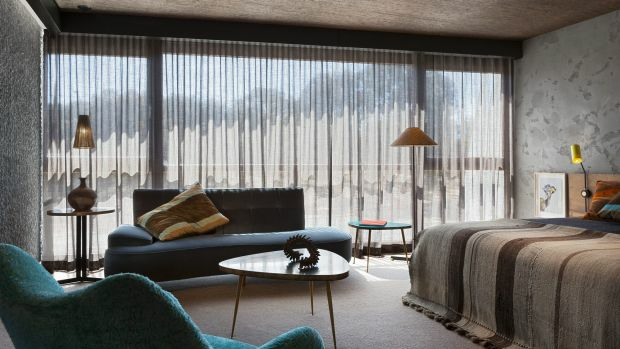 Instead of designer wallpaper, the hotel rooms feature textured walls of felt and clay render, and pretty much every object you touch was constructed to order by Australian artisans. DON'T MISS The hotel's in-house restaurant, Monster Bar and Kitchen, is one of the best in town. 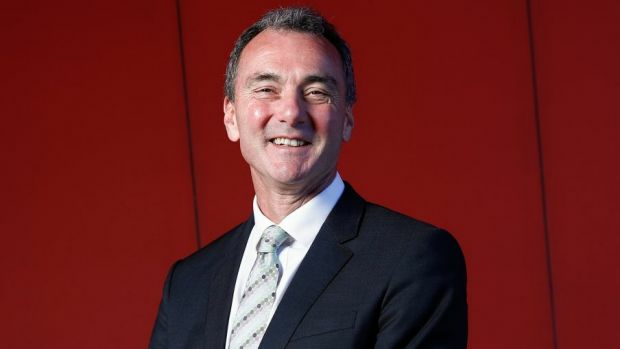 My favourite getaways: National Museum of Australia director Mathew Trinca nominates his favourite ACT hotspots. THE LOCATION Our capital offers a steady stream of events and festivals throughout the year (Floriade, Enlighten and the Canberra Balloon Spectacular,to name a few) that keep the visitors coming and the hotels full. 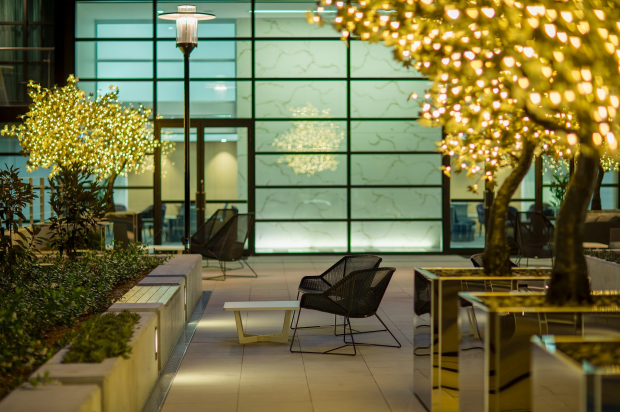 THE PLACE Part of the city's cosmopolitan new wave, Avenue Hotel opened three years ago on Northbourne Avenue (the main road that heralds the end of the drive from Sydney), with 213 spacious rooms and an upscale steakhouse, Marble & Grain. THE EXPERIENCE Glam modern rooms provide a welcoming nest, while the temptation to linger in the two-person spa bath suite might be irresistible. DON'T MISS The Last Post Ceremony at the Australian War Memorial. Held daily at 4.55pm, each day it tells the story of one name on the Roll of Honour, and The Last Post is sounded. THE LOCATION A super-prime position in the suburb of Barton close to the parliamentary triangle. 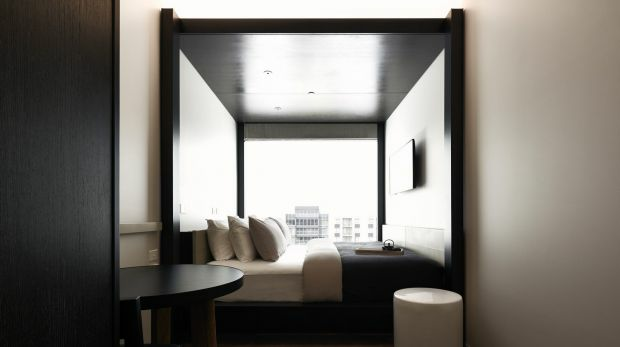 THE PLACE Little National, a minimalist, unorthodox 120-room hotel, is based on the concept of affordable luxury. Rooms reflect the fashion for snug timber- floored spaces with sizeable bathrooms. Extras include a Nespresso machine, cable TV, free Wi-Fi, free in-house movies and free local phone calls. THE EXPERIENCE Among the most impressive features are the so-called common areas with views of Parliament House, fireplaces and a sculptural staircase linking two floors. DON'T MISS Walk across the street to eat and drink at the likes of Maple + Clove, LiloTang and Chairman Yip at Hotel Realm. Some writers stayed as guests of the properties.